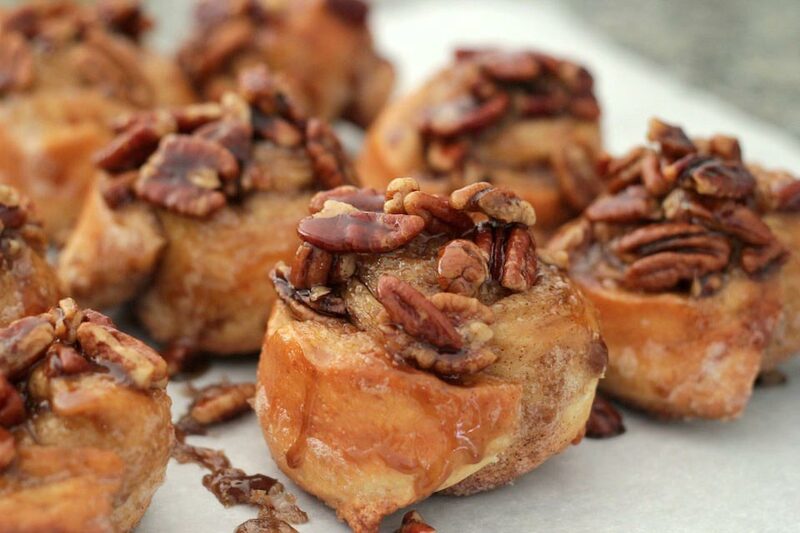 I like to make my cinnamon rolls with caramel pecan topping instead of icing. It’s not healthy, but I need to have my artery clogging goodness once in a while. , because the dough rises faster. It’s hard to find in stores but available online. to weigh the ingredients instead of measuring. 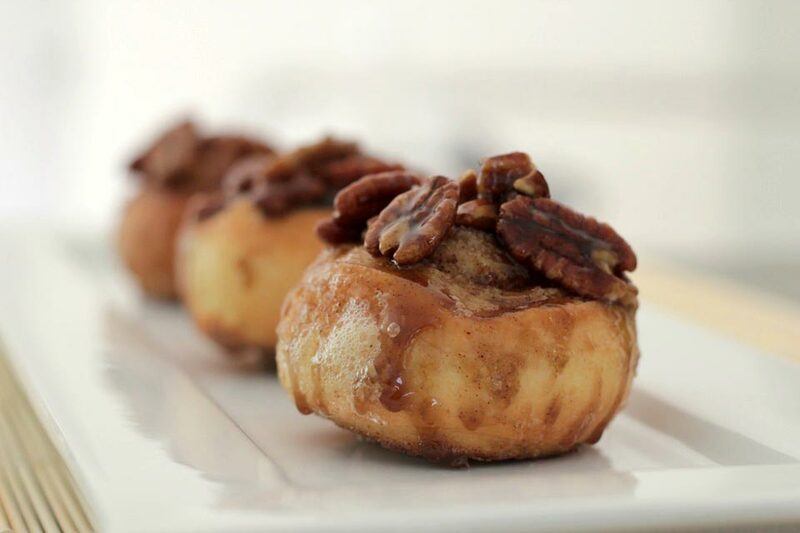 I never get the same pecan rolls when measuring with cups. 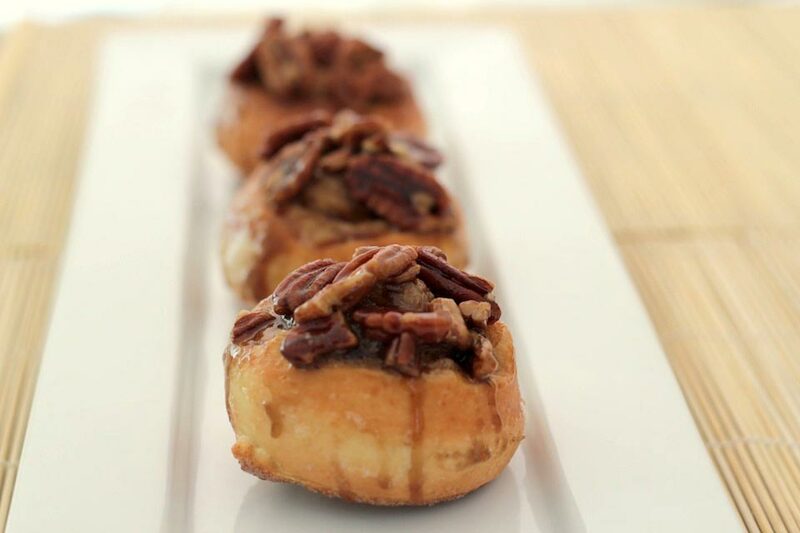 Weighing will help to create the same pecan rolls each time. 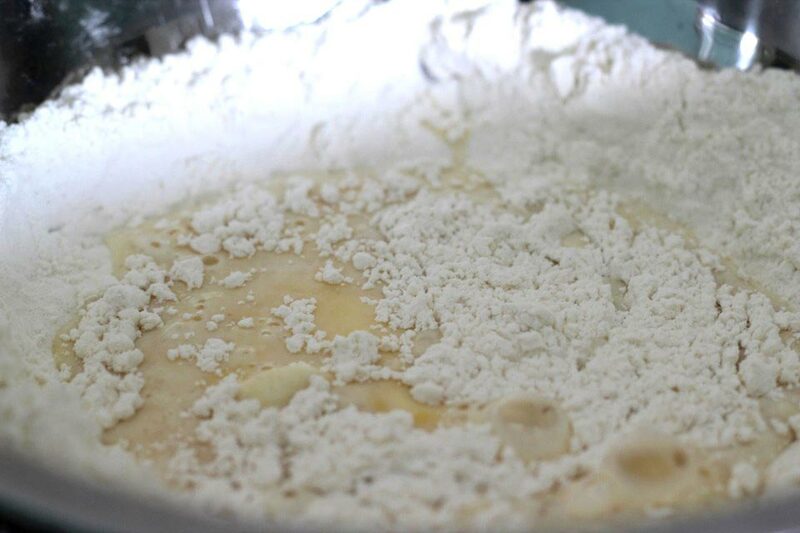 For the dough, combine all the ingredients together to form a rough dough. 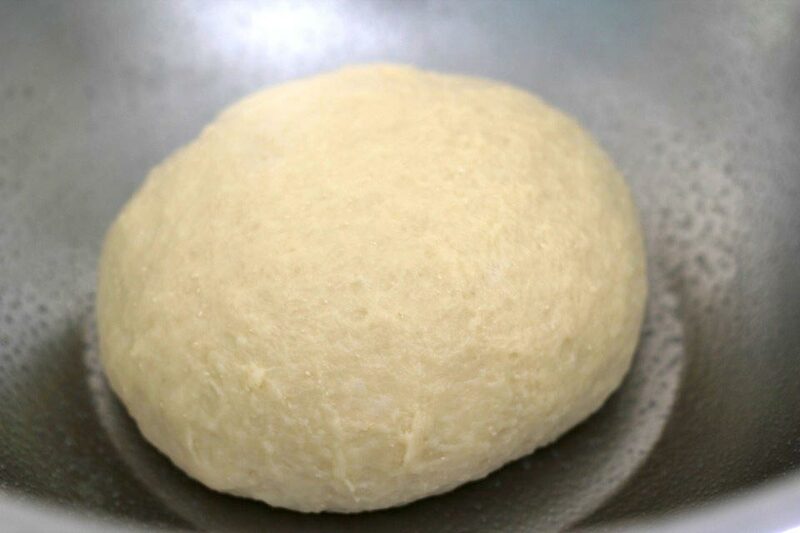 Knead the dough (slapping it on the counter and turning etc) for 8 to 10 minutes until smooth. Cover with a damp kitchen towel and let rise in a warm place for 1 hour (until doubled in size). 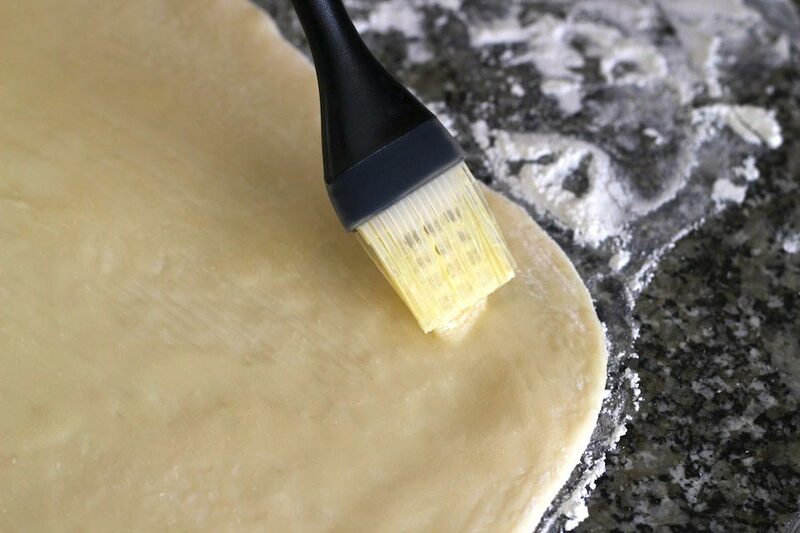 While the dough is rising, make the topping. First, coat the muffin pan with cooking spray or butter. 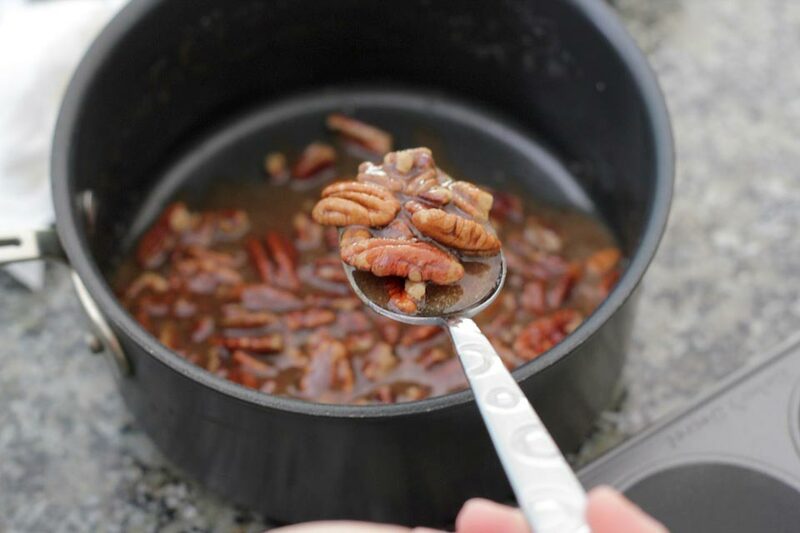 Over medium heat, melt the butter and stir in the brown sugar, corn syrup, and pecans. Heat just until the sugar has melted. Add a spoonful of mixture to each muffin cup. 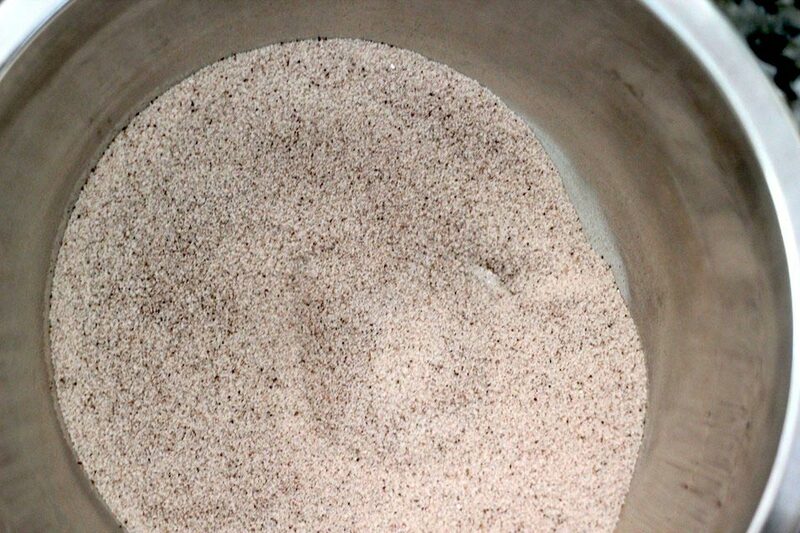 Mix the sugar and ground cinnamon together for the filling. Punch down the dough which has doubled in size. 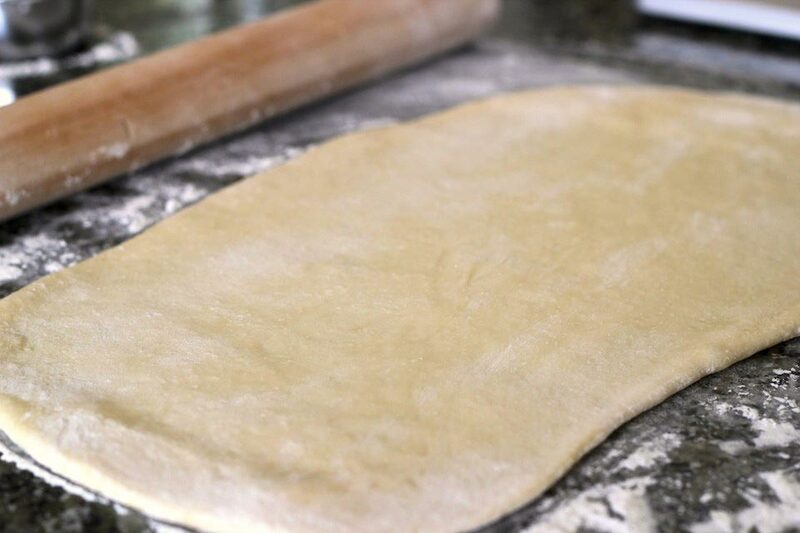 Lightly flour your countertop or working surface and roll out the dough into a large rectangle. 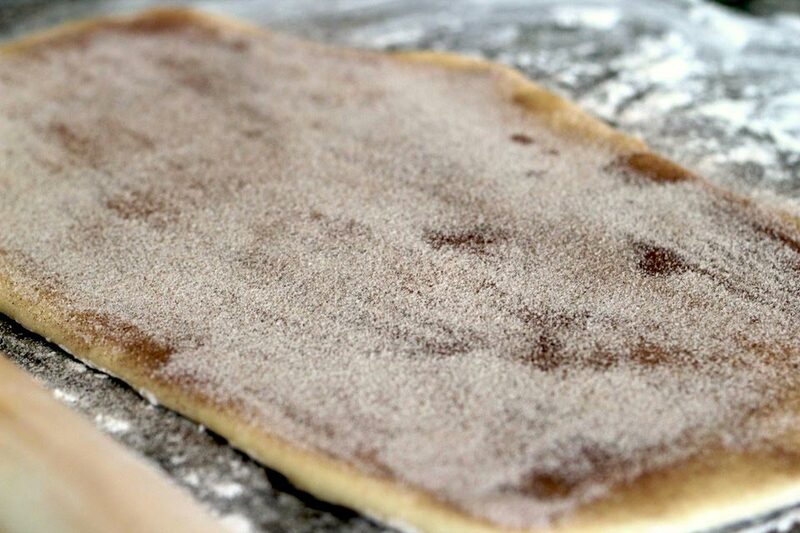 Spread melted butter all over the dough and then sprinkle with sugar and cinnamon mixture. 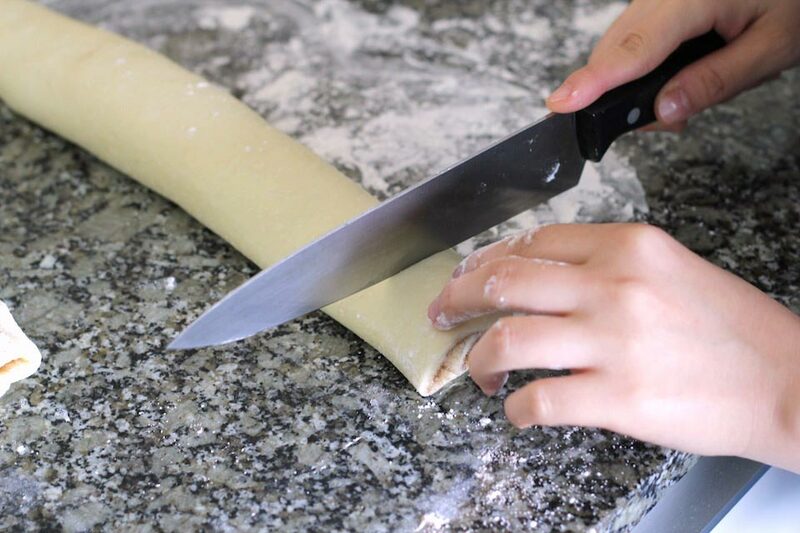 Roll the rectangle into a log and seal (pinch) the edge. 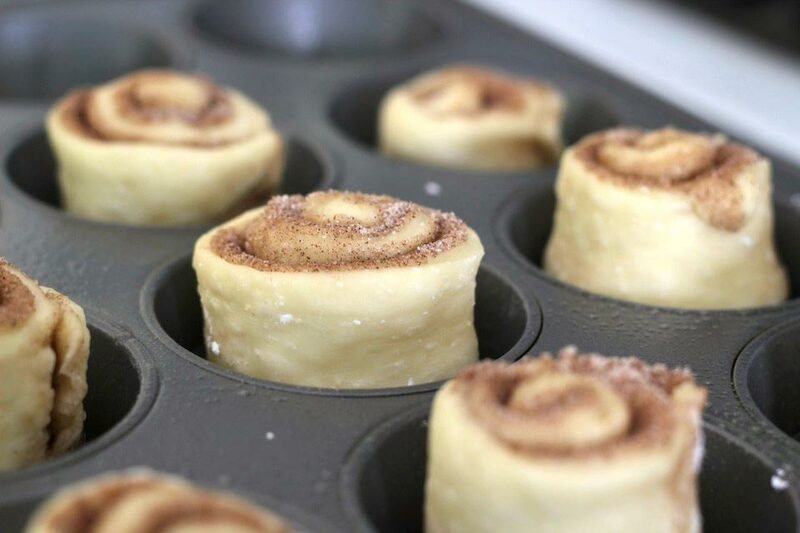 Slice into 1 inch wide rolls and put into the muffin pan. Let the rolls rise for 30 minutes at room temperature. While the rolls are rising, preheat oven to 350°F. Bake at 350°F for about 30 minutes. 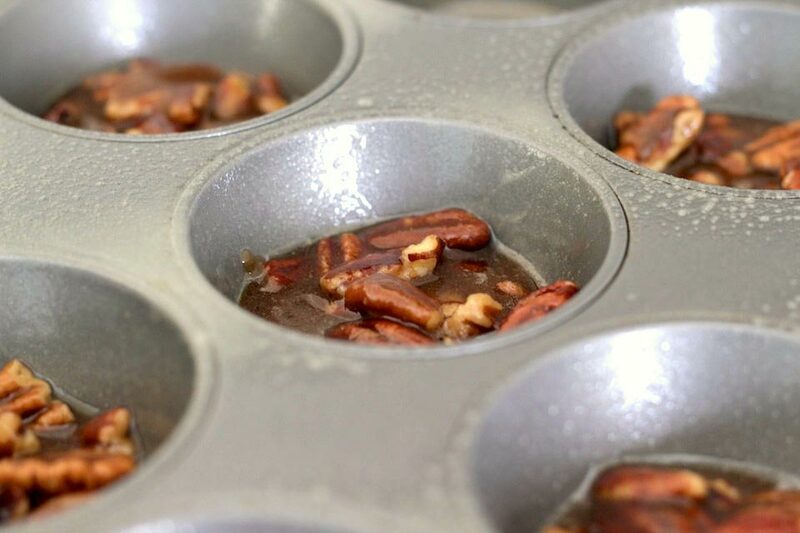 Put a sheet of parchment paper directly under the muffin pan to catch any overflowing caramel. When the rolls are done, take the pan out of the oven and carefully flip over onto parchment paper or cooling rack.